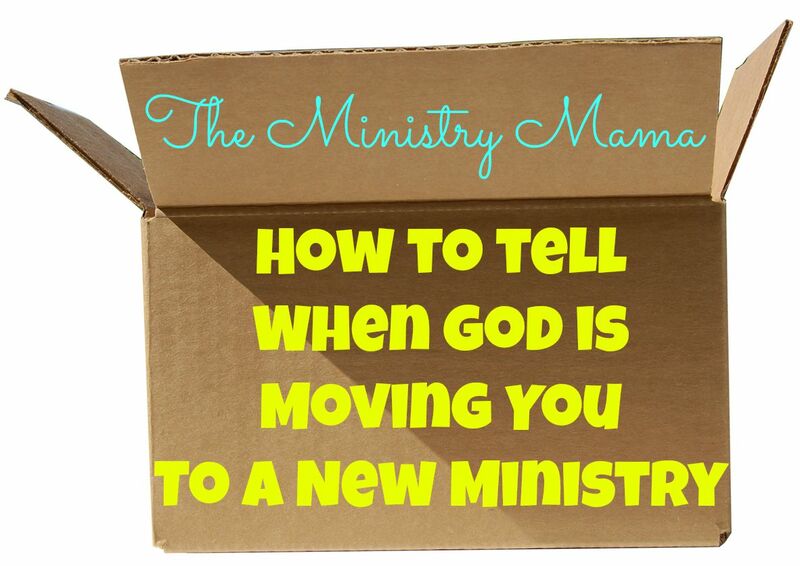 Is God is moving you to a new ministry? God works and moves in mysterious ways in our lives, we do not always know the reasons why He does things for one ministry family one way and allows another situation for another family to be able to reveal to them the next place of service He wants for their lives. Ministry families will either go through an experience that will positively show them that it is time for them to go to a new ministry, or He will show them through negative experiences, or a combination of both. My advice to you is for you to be faithful to reading the Bible, praying, and in good communication with your pastor as much as possible, and seeking good and sincere Biblical counsel from outside sources if necessary. This list is not for the Jonah looking for an escape from their ministry because they have become discontent or are looking for an excuse to get away from the place God called them. This list is for people to be able to be able to evaluate the situations and circumstances going on in their hearts and lives and be able to confirm those possible leads to be able to follow the Lord in the path He would have them to go. God begins to point things out to you in your Bible reading, prayer life, and through the teaching and preaching of the Word. When things begin to coincide and everything seems to flow together into one idea pointing you in a specific direction. A burden in your heart grows toward something specific, such as, youth work, pastoring (for men), leading a new Sunday School class, etc.. The circumstances of your life keep bringing you in contact with the specific people, places, or things that God is directing you toward. Your pastor or other spiritual leader will speak to you about seeing that God is impressing on their hearts that it is time for you to begin a new ministry or moving in a new direction. Other people may recognize God moving and changing your life. They may see maturity, experience, and spiritual growth in your life and may begin to ask you or encourage you to think about the future. If you have a situation like this where you are being spiritually fed and taken care of when you mention your heart’s burden of making a change in your life, then you need to make sure to thank God. Good healthy spiritual mentorship and leadership is often hard to find and is a treasure to be sure! Struggles begin happening between you and your pastor and/or other church leadership. This is more of a personality type of difference than an inability for you to be able to submit to the authority of their leadership. You come to the place in your ministry where you see more problems than you will ever be able to fix because of your position not being able to have the freedom to discuss or take care of the changes. You are told that it is time for you to leave from your pastor and/or church leadership. Problems and situations become difficult and uncomfortable, you may not be able to pinpoint it but something lingers in your spirit that gives you a distinct feeling of change that might be coming in the future. Doctrinal differences come to light that push you in the direction of making a decision to change the direction of your life and ministry. You see a change of culture and practice in the church and its leadership. You can see standards, preferences, and convictions begin to differ from the direction that you believe the Lord would have your family and ministry to be. Perhaps you are having negative experiences in your ministry and you just are not sure what to do. Wait. Pray. Allow God to show you in His timing when the right way to be able to make the choice to leave will be. If God lead you to the place where He brought you and you know that without a doubt, then He can and will lead you to the next place of service. If you see your husband trying to know what the will of the Lord is in your lives, please be wise. I suggest that while you may talk to each other about these things that you do not dominate your life with talking of them constantly (especially if they’re bad). Allow God and the Holy Spirit to lead him, do not threaten him or give ultimatums, do not build up lofty dreams and ideas that would cause him to make a wrong choice hastily . He is the one that is accountable to God for your family. There may be things in your lives and in the church where you serve that God has to work out first before the time is right for you to know that it is fully time for you to move to a new ministry. Keep yourself in prayer and quietly watch the Lord work on your behalf, many times we as women can discern things before they are able to happen. Rest in the Lord during these times and see what good that the Lord will do for you!